How to paint condor video tutorial and step by step images. 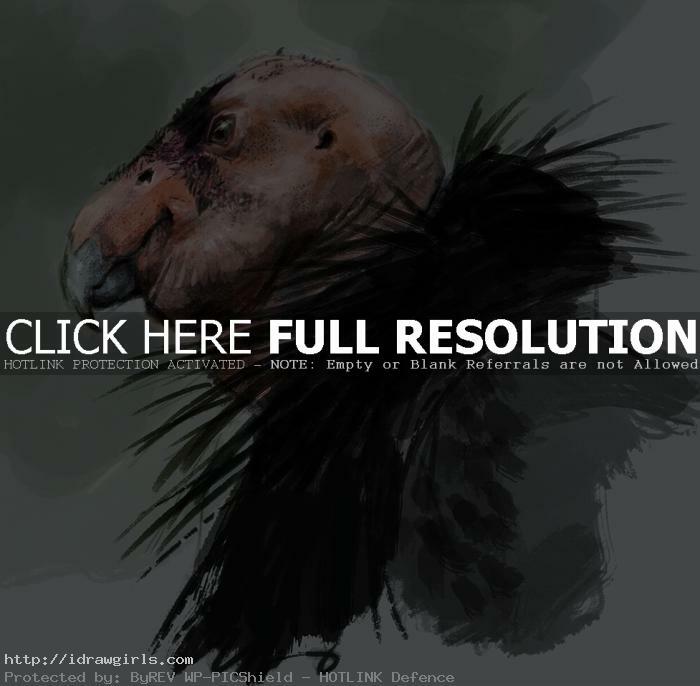 In this tutorial I will show you my condor painting process. This piece is another one of my weekly study on birds of prey. Here I will show you my painting process using Photoshop. In this painting exercise I get the over all value in gray scale first then I will begin painting over using overlay layer. You can see the drawing process at how to draw condor. Using overlay layer is like using water color paint over the drawing. But in my final stage, I use opaque or 80-100% opacity to paint over for tighter form. I also like creating unique brush strokes on the subject to make it look more like traditional medium. Digital painting a lot more forgiving and convenient to use. In this tutorial I use Photoshop because I can adjust opacity or you paint and using overlay to get the transparent effect. The adult California Condor is a uniform black with the exception of large triangular patches or bands of white on the underside of the wings. It has gray legs and feet, an ivory-colored bill, a frill of black feathers surrounding the base of the neck, and brownish red eyes. As an adaptation for hygiene, the condor’s head and neck have few feathers, which exposes the skin to the sterilizing effects of dehydration and solar ultraviolet light at high altitudes. The skin of the head and neck is capable of flushing noticeably in response to emotional state, a capability that can serve as communication between individuals. Here is a final painting of a condor. Watch a video tutorial how to paint a condor. 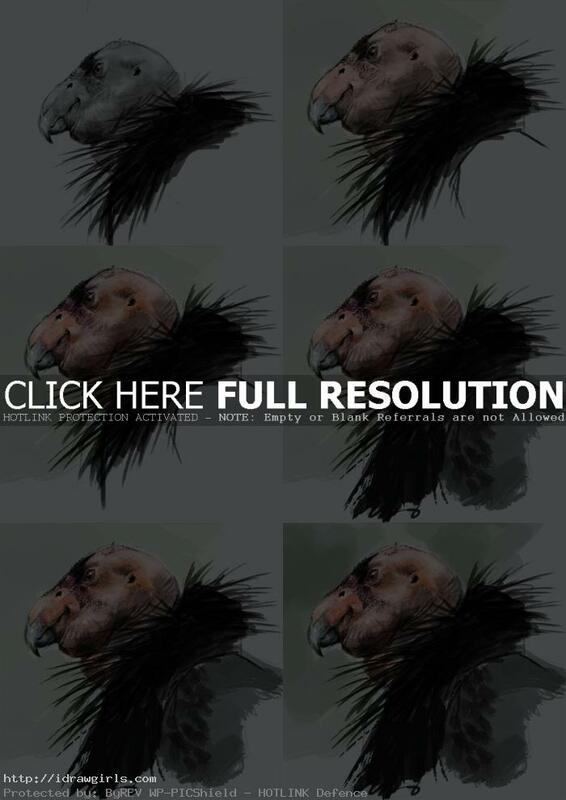 Below are step by step how to paint a condor. You can use these as visual to paint along with the video.